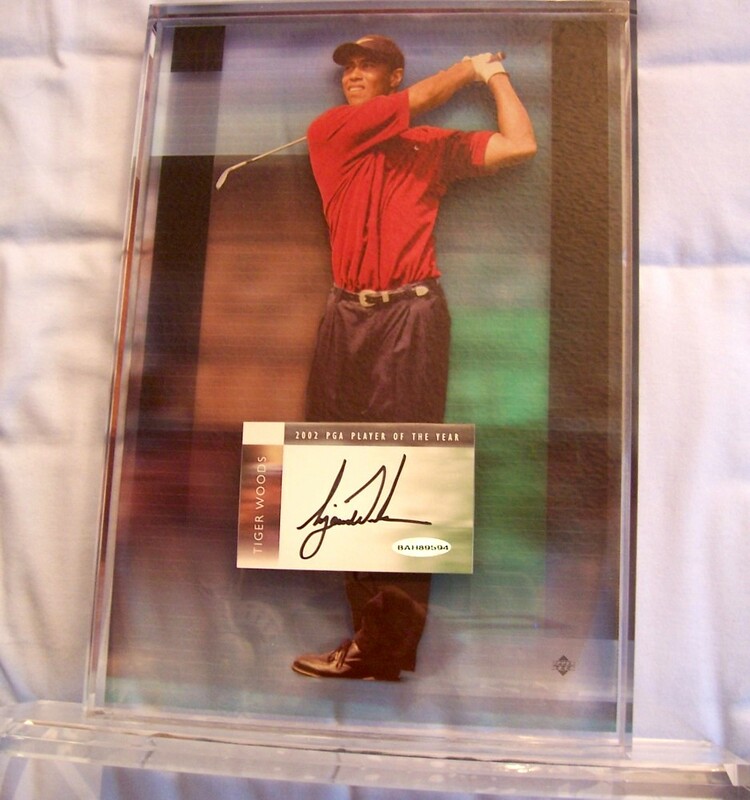 Tiger Woods autographed 2002 PGA Tour Player of the Year plaque with gorgeous 8x10 inch image floating in solid acrylic more than an inch thick. Mounted on a solid acrylic base measuring 13 by 3 1/2 inches. 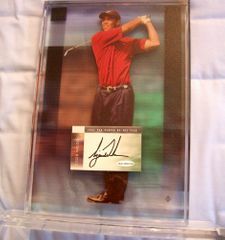 Authenticated by UDA, with their numbered hologram on the autograph. 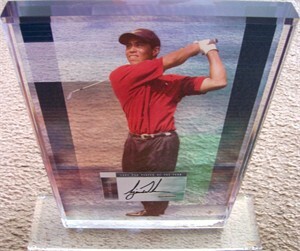 The current minimum UDA WHOLESALE DEALER COST for ANY TIGER WOODS AUTOGRAPHED ITEM is now $600. NOTE: original UDA certificate of authenticity was lost, replaced by a letter from Sports Images that includes UDA's website address for verifying the hologram number. Weighs about 8 pounds. ONLY 3 LEFT.